Since Berlin has quite a well organized gas net, Gas Heating is probably still the most common heating system in Berlin apartments. 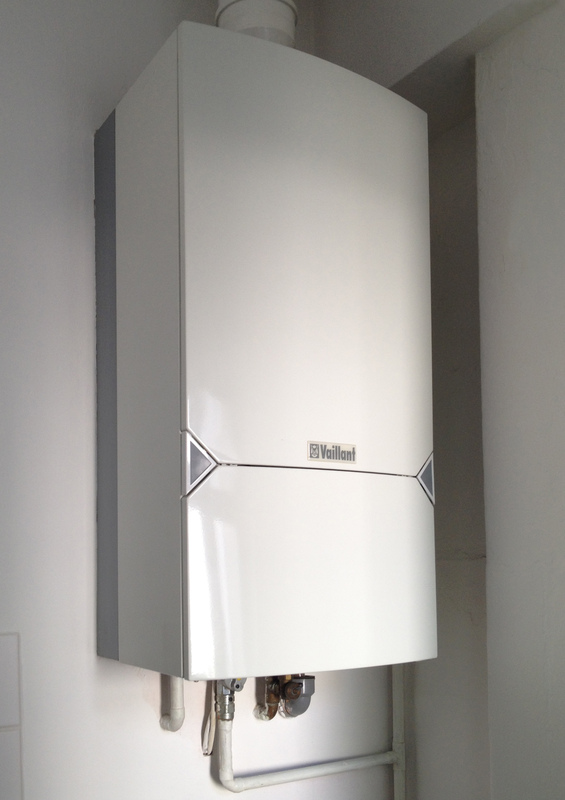 this may sound a bit thrilling for some readers, but In general the gas heaters are basically quite easy to operate. These white boxes you will either find in your kitchen or in the bathroom are almost be care-free for the tenants since they are usually well maintained due to government requirements on gas heating systems being quite strict. From time to time different technicians will want to check the gas heater at your apartment. You’ll first find either a postcard or a note at the door or in your post box. Usually the technician will come around quite early in the morning – which means anything between 8 a.m. and 12 a.m.
As far as I know there are basically two annual checkups: of course the chimney has to be checked by the chimney sweeper – and he will also check everything that has to do with the exhaust coming from the heater. The gas heater itself however is checked by a technician of the company that either builds or operates the heating systems of that particular brand. The ‘gas heater’ or ‘boiler’ – often located in the kitchen. This is the actual ‘hot spot’ where ‘the thing’ is happening: gas is burnt and water is heated. The thermostat, that lets you regulate when the apartment is heated and how warm it will get inside the apartment. The actual radiators, often equipped with little knobs, that let you adjust the temperature of each radiator / each room separately. 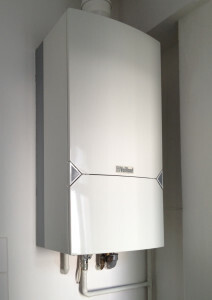 Often the heating system (the boiler) not only provides hot water for the radiators, but also provides the heat for the warm water that you will use in the shower or bathtub or kitchen sink. In many Berlin apartments the heating system has a ‘priority switch’ built in. 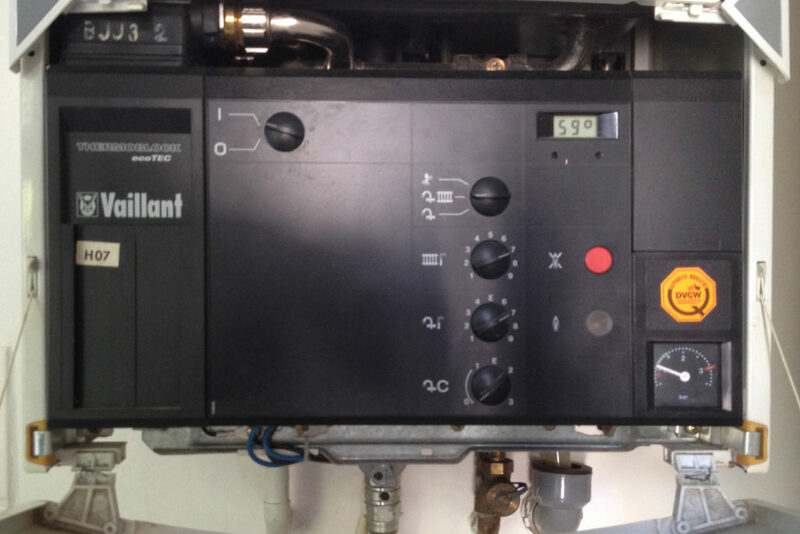 Rule of thumb: the closer the tap is to the boiler, the higher the priority. So a classic ‘accident’ that can happen (and most likely many people that have stayed in a Berlin apartment have at least encountered once) is that somebody is using the shower – and somebody else is doing the dishes. Whenever the person in the kitchen then opens the hot water valve, he/she will ‘steal’ the hot water from the person that is trying to take a shower. The water in the shower will then turn cold for the time it is ‘stolen’ from the kitchen faucet. the average water temperature is at 59°C – this may vary once the water is actually running. The top knob shows that the heater is supplying the apartment’s radiators and the running water with heat. The second know shows the radiators’ temperature at “7” – which means ‘warm’. This model only goes to “9” – others may or may not go to eleven. Also the third knob is at “7” – this indicates the amount of heat that will be used for heating the running water. If you would want to have your running water a bit warmer ore colder, then this is the knob you’ll have to adjust. The fourth knob is “off”. This is an option to store hot water inside the boiler and keep it at a certain temperature so that whenever you open a hot water valve, there would be hot water. While some people may find this option quite convenient to use, it also uses a lot of energy – gas. The little yellow lanp indicates that the starter flame is burning – which is good. The meter in the bottom right corner shows that the pressure is inside the green area – which is ok.